This entry was posted in Fly Tying, Oregon Salmon fly fishing. Bookmark the permalink. 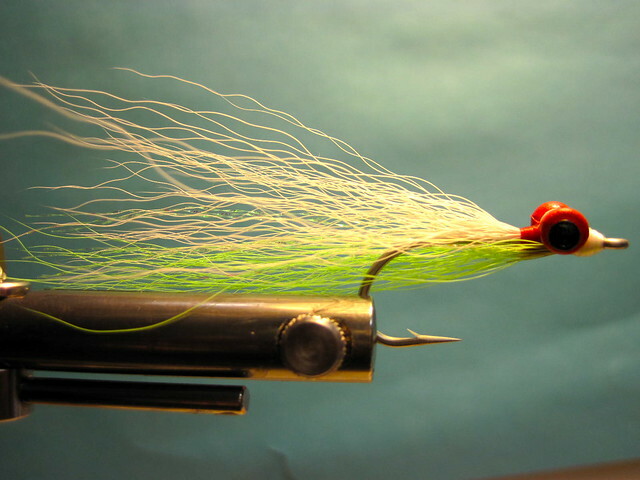 Love the Clouser , started using Poly-bear & other synthetic materials like the durability good article/video catches everything from bass to salmon. I substitute the Eagle Claw 413-1, for the TMC 811S #2, and then tie the Clouser weedless (hook up & the eyes hanging off the bottom of the hook).